Campfire stories can be great fun. 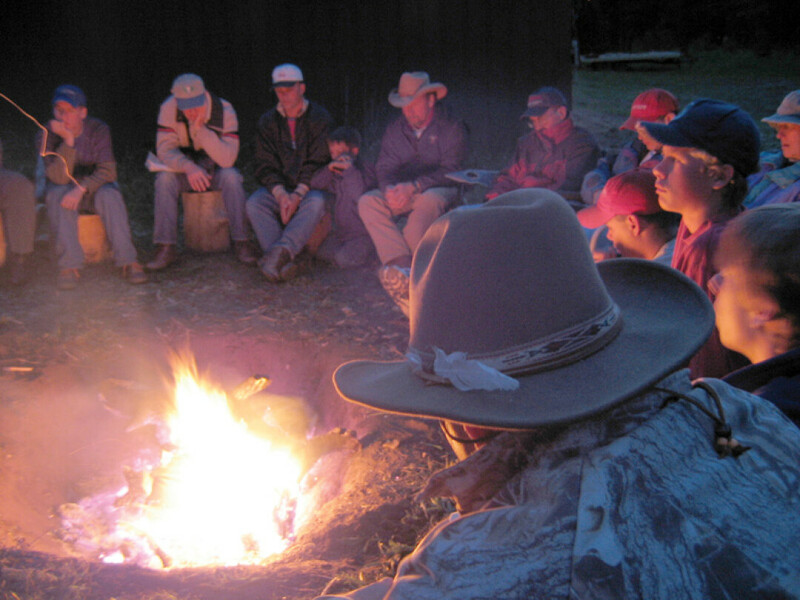 Here are some tips and tricks to help you spin a great yarn at your next campfire. It is okay to think out of the box, but you do need to use themes that are a unique to get the listeners’ attention. Craft your stories to be appropriate for your audience. Here is an example. This was the premise for a historical campfire story that has been scaring campers for generations! The concept of the story is simple but what makes a great campfire story is much more. The truth is that intestines don’t come back to life but… Here are some thoughts and ideas on how to tell great campfire stories of your own! Not everyone is a good storyteller, but with practice, you can learn to become one. It takes creativity, spontaneity, personality, and imagination. We all know who in our groups fits these requirements. 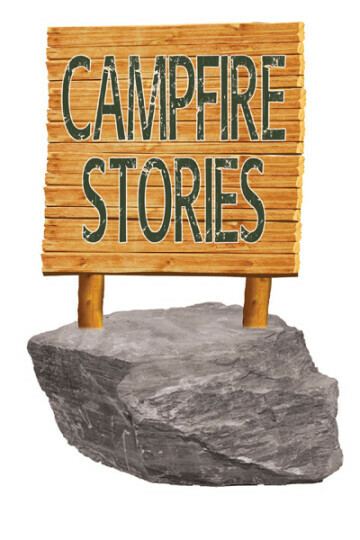 Make them responsible to tell the stories at your campfires. Night time brings out basic fears and makes listeners more gullible to the yarn you plan to tell. If it seems too dark, hand out some glow sticks for security. The best stories are the ones that are easy to remember. Consider themes that are obviously relevant and may be believable, but simple enough to have fun with and exciting enough to be remembered. Use local landmarks, history, legends, or features to give your story a touch of legitimacy. For example, wolves were once abundant in these hills. Many were gray, but a few were black. Some were huge and weighed as much as 200 or more pounds. A great campfire story usually takes 15-20 minutes to tell properly. If they are too short, they lack credibility. Too long and they put people asleep. Plan ahead and practice your storytelling skills. If it makes you react, then you are on the right track. Properly Introduce The Story Make sure you get everyone’s attention at the beginning of the story. Have another camper make an introduction. Toss some campfire glitter flash powder into the fire. Maybe try some pinecones soaked in chemicals to change color. Add some pizzazz, then begin the story when everyone is ready. For example, hold a large woodcutter’s ax that was found by the large tree nearby. Add just enough facts to make the story plausible, then go a bit crazy. Use accurate facts, history, names, and dates. Relate events to real events and people. Identify actual people or their relatives from your gathering to support the story. For example, the woodcutter’s camp was along this ridge. 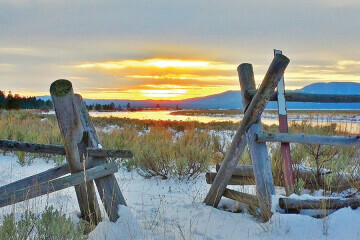 This campfire site was where the cook prepared their meals. Your Scout Leader’s Grandfather knew many of the woodcutters that worked here. The best stories are based on the same themes. Murder, vampires, mystery, or simply things that go bump in the night. If you are camping, use the dark to add mystery, excitement and fear. For example, “Has anyone ever seen a real wolf?” “Do you know how long a wolf’s intestine is?” “What kinds of things can you use an intestine for?” Get your guests thinking about the theme. Pioneers used intestines to make sausage. Most trappers ate the meat from the critters they caught. Intestines in a 200 lb. wolf are around 25 feet long! That makes for a huge “Living Intestine”! This line of factual input gives realism and fact to your story. Play off of their senses of sight, touch, smell, and imagination. Once the guests are hooked on your story, it is amazing what you can make them believe. If a creature has a smell, open a jar of stink to support it. For example, mimic sounds of wolves or other creatures. Have a friend away from the campfire make a howl, bark, or creature scream. Wolves hunt in packs, so several different locations could be used. Use a string tied to a stack of cans near the tents. Jerk it to create a startling noise at the right moment. You get the idea, now be creative. Use descriptive words to enhance your story. For example, the wolf’s breath doesn’t just stink, “it smelled of rotten, raw, meat and salty blood!” Have fun with grossing out your audience while adding spice to the story. Avoid curse words or inappropriate comments or themes. Keep it between the lines. If you tell the story properly, you will not need to add shock and awe. The story will make the guests’ imaginations do that for you. Be Mindful Of Inflection, Tone, Volume, And Pace Use these presentation tricks to keep your guests off balance. Avoid saying “um, uh, like, …”, the words you say when you are not sure what to say next. Your story will burn up if you read it or don’t believe and know it yourself. If you forget a thought, slow down, ask a question, make some noises, ask for another log on the fire. This will give you time to think and allow the guests to savor what is next. For example, if the wolf howl was loud, scream it. If the wolf made the woodcutters afraid, say it in your voice. Stand up and yell, or swing the ax, or what was that, did you see that shadow? Keep your guests on their toes. Give out some chopped up meat sticks before the story begins. Everyone loves Slim Jim’s. Did you know that they are made using intestine casings and ground-up hearts? After the story about Living Intestines, will they ever eat a meat stick again? Maybe cookies in the shape of a wolf’s feet, small axes, or long, red, sticky, thick string licorice. You get my drift? You will know if the story was a good one if your guests are talking about it for years to come. “I just could not get asleep, thanks a lot!” Check the campers once the fire has ended and they return to their tents. Carry your ax, so they know you will keep them safe. Do something the next morning to bring your story back to life. For example, if you painted small red blood trails around the campsite the next morning, the story will take on a life of its own. 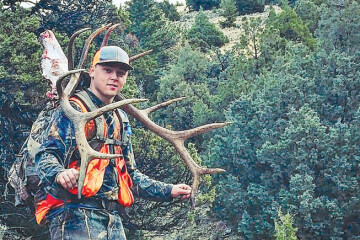 As a retired Educator, Consultant, Naturalist, Guide, and freelance writer, Grant spends much of his time sharing and teaching about the great outdoors.